This section makes the case that broader cooperation is needed. Harry Gardner of SigniaDocs takes on the industry’s biggest problem. Robert Wind of lender Guaranteed Home Mortgage Co., Inc. talks ROI. 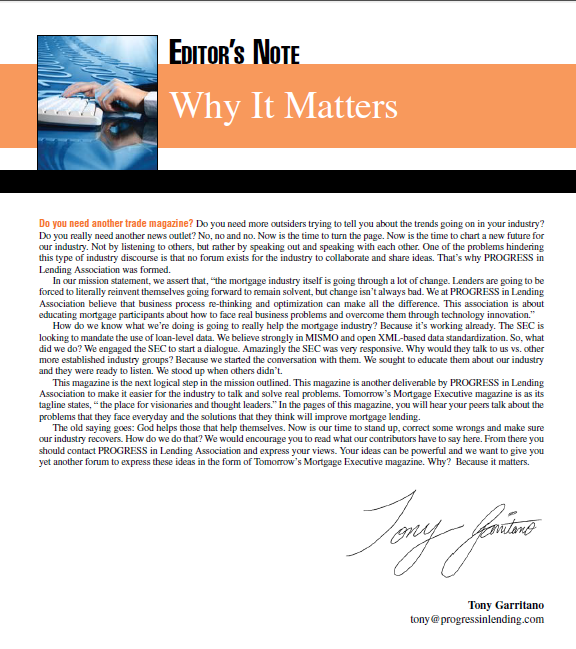 Tony Garritano takes on the government and their stance on regulating, maybe over regulating, the mortgage space. Roger Gudobba looks ahead at what has to be done to restore mortgage in a post-meltdown environment. Michael Hammond brings to light some impacts that common short cuts may have on your business. Taking a closer look at the future evolution of mortgage servicing. Detailing an industry failure that is stalling overall market recovery. Making the case for a day when electronic compliance is the norm. 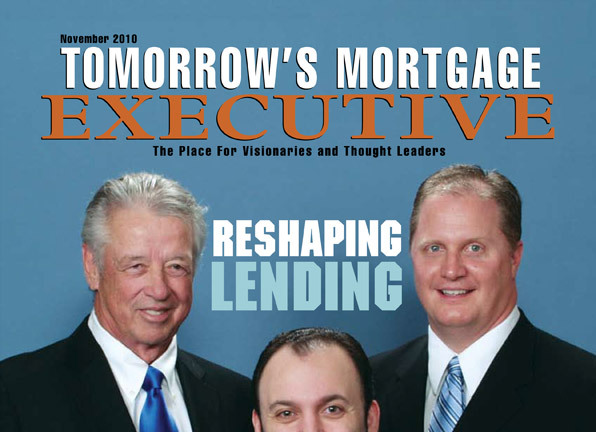 The three principles talk about the genesis of the founding of PROGRESS in Lending Association and what they expect the next generation of mortgage lending will look like. The state of the industry and what is needed to get over the downturn. Bold predictions made about how origination has changed forever. Discussing next-gen appraisals in light of the new regs and technology.